It has been an anxious week. After a wonderful relaxed long weekend celebrating life with family and friends, for some reason I switched gear on Tuesday. It has suddenly hit me that Little Miss Control will be at Kindy this year, and next year so will Little Miss Chaos. The time is ticking on enjoying the girls at home with me. On Tuesday I labelled anything that would sit still, and wrote copious lists. On Wednesday I was out at the shops getting the last few things we need. I even got my sister involved (thanks P). On Thursday I washed all the sheets and towels, because everyone knows you can’t have a smooth start to the school year without clean linen right?! 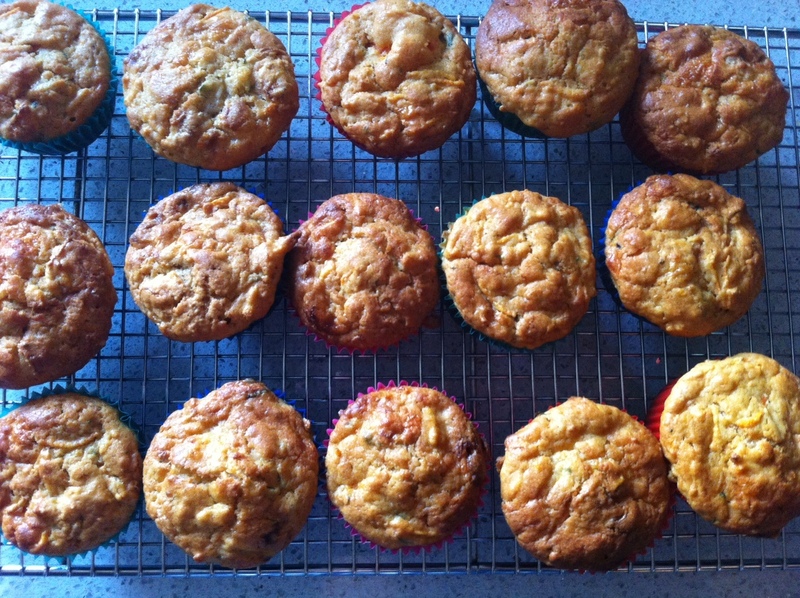 And then I baked a batch of truly awful lunchbox muffins. I even took a picture for you. They may look good, but not worth putting them in your mouth, trust me. When you get to the point where you think washing all the linen in the house and baking a batch of horrible muffins is going to help, you really need to sit down and evaluate what exactly is going on. And what is going on, is that this is all new for me too. Little Miss Control is surprisingly calm about school next week, taking it all in her stride. It’s her mother that is in a flap. This is the school she will be at for all her primary years so I feel like it’s really important to get it right. It is amazing the amount of stuff that is floating around in the cyber sphere on transitioning children into school. So of course I am reading everything that comes across my virtual path. And then chastising myself for not doing it all. But I can’t do it all, and not all the online advice is a good idea for my daughter, or for me. And even if I could do it all. It still wouldn’t give me a complete guarantee that her first day will be perfect. And if she had a perfect first day, what about the next day and the one after that? So yesterday, (in between running around to the uniform shop), I worked on transitioning me gently into this new role of being a school mum. Note the use of the word gentle there and not smooth. If I seek a smooth transition then I seek perfection. If I seek a gentle transition then it is about having grace for myself. Lighting a calming candle when I can feel my anxiety rise, making a cup of tea, writing down my worries. Having some transition time for me. Letting go of the need to be in control is not going to easy, but my Little Miss Control might just need to see her mummy learning that lesson. Praying a gentle transition for all of you into school next week.